BackTrack Linux 4 or 5. Download it from here. Xp Free Fast RainBow table [tables_xp_free_fast.zip]. Download it from here. *Install the Backtrack Linux in the pen drive with small amount of persistent memory. Follow the below steps to hack windows admin password. Insert the pen drive in target computer[when turned off]. We are going to boot the operating system from pen drive, so insert when the system is turned off. Now Turn on the system. Press F10 [boot menu, differs for system] before booting and select boot from Pen drive. Now it will boot the Backtrack. Select "Graphical User Interface "
Now you can see the "root:"
type "startx" and hit enter. It will bring you to the GUI view of Backtrack. Select Storage Media(if you see nothing, close the window open it again). You can see the list of Hard disk and Your pen drive. There you can see two files named as "SAM" and "System". Copy the both SAM and system files . Create a new folder in the desktop and paste the files inside. Open the ophcrack GUI(start->Backtrack->Privilege Escalation->Password Attack->offline Attacks-ophCrack GUI). Click the Load and select "Encrypted SAM" in ophcrack tool. Now it will ask you to select directory that contains SAM folder. Select the directory where you saved the SAM file. Now it will load and display the list of user accounts in the windows. 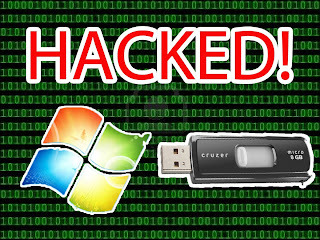 Here i am going to hack the one of the administrator account of my computer. So remove all other accounts except the target admin account. Step 7: The Rainbow Table. Extract the "tables_xp_free_fast.zip" file in the desktop. Click the Table button in ophcrack tool. Now it will ask you to selec the table. Select the "XP free fast" and click the install button. Now browse to the Rain bow table directory "tables_xp_free_fast". Wait for a while [ophcrack is the fastest cracking tool. so it won't take too much time]. Step 9: Password is cracked.